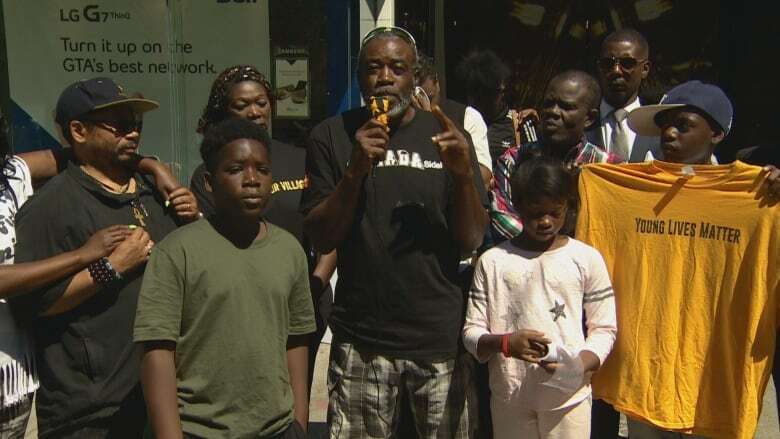 Community advocates and relatives of victims of gun violence gathered on a downtown sidewalk Saturday for an open forum on "the rise of gun violence" that has recently erupted across Toronto. "I am calling on all three governments — provincial, federal and the municipality — to come together with us community leaders to work together to solve this problem," said Keaton Austin, a pastor at the Abundant Life Assembly church in Etobicoke. "I am here today to look to the government for better solutions because the violence is plaguing the entire GTA," he said to a crowd of a few dozen people on Queen Street West. The forum was held near where two men in their 20s — 21-year-old Jahvante Smart and 28-year-old Ernest Modekwe — were shot to death just a week earlier. Both victims had ties to Toronto's hip-hop scene. They were just two of 11 people shot over the course of a week. 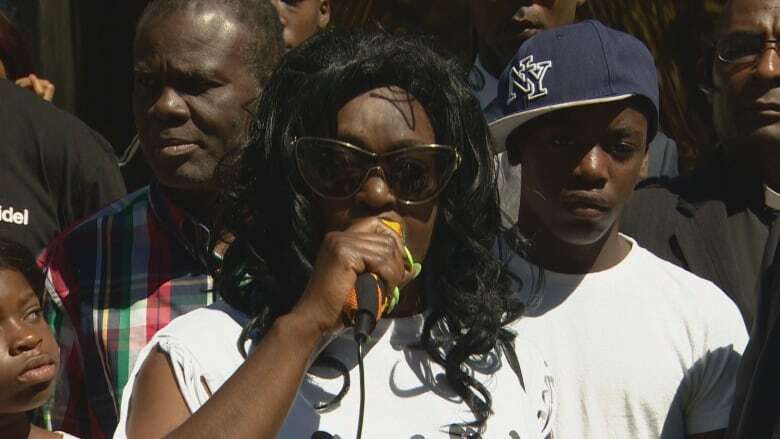 One day after Smart and Modekwe were killed, four more people were shot in Kensington Market. One of those victims later died in hospital. "We're calling on the community. We want answers. 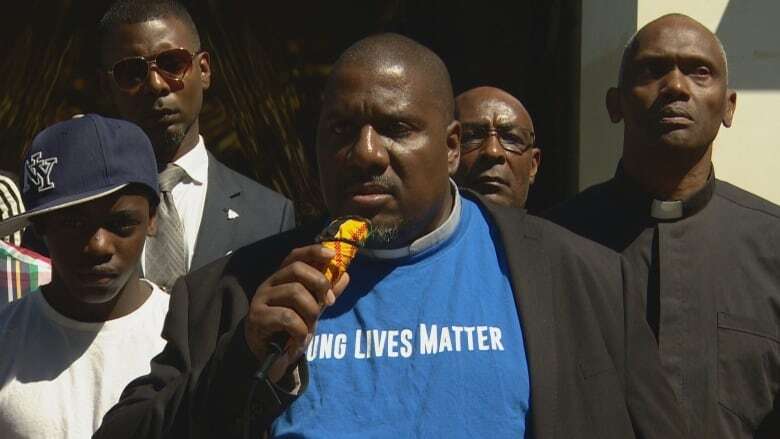 We want to know who took these two mens' lives and who was behind this tragic moment," said Louis March, founder of the non-profit Zero Gun Violence Movement. March also pointed to the reality that communities of colour are disproportionately affected by gun violence in Toronto. "We have a divided city. There's a difference between living in Rosedale and Rexdale. There's a difference," he continued. The speakers were joined at the forum by young people of colour, some of whom have been directly affected by gun violence. There were also calls for Mayor John Tory to reevaluate the city's role in preventing gun crime. On Friday, Tory met with members of Toronto's hip-hop community, including rapper Kardinal Offishall, to discuss how to address the root causes of violence. "Mayor John Tory, you need to come to a meeting with us. And I don't mean only with the police. I mean with us, the elders of the community. The people that know about the streets and can help take back the streets," said Andrea Tabnor of the Jane and Finch community organization. "What we want is unity." 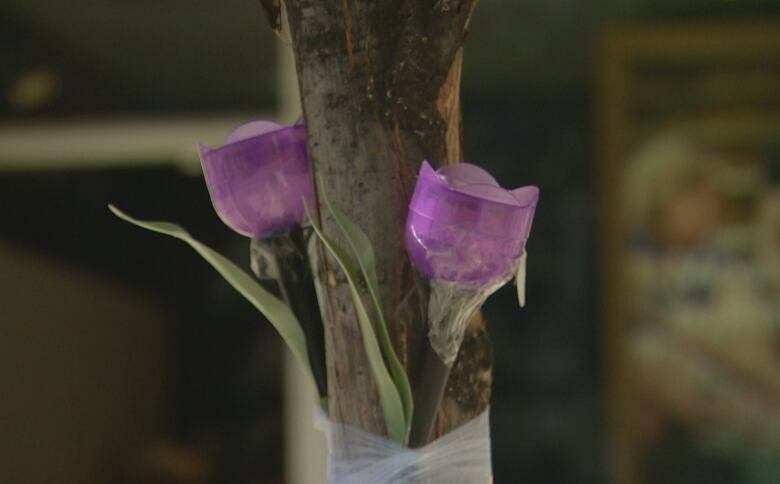 Those who attended also wrapped ribbons and laid flowers at the base of a tree on Queen Street as a memorial to Smart and Modekwe, the two men killed in the June 29 shooting.